The Meridian PRO from K&R is a professional navigation tool, with true flexibility. 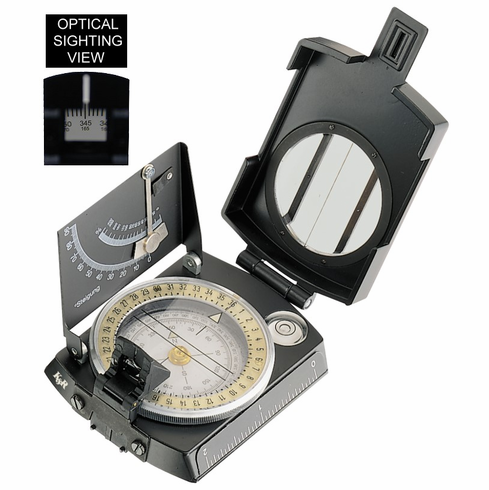 The Meridian PRO compass features a sighting optic and flip-out clinometer. You can use the rotating bezel with the compass card's top-side graphics like a traditional baseplate or mirror compass, or you can simply flip over the sighting optic to take a direct reading of your heading from the internal compass card.